Michal Salomon says terrorists will rebuild their destroyed home, demands government make punishment for murder more severe. 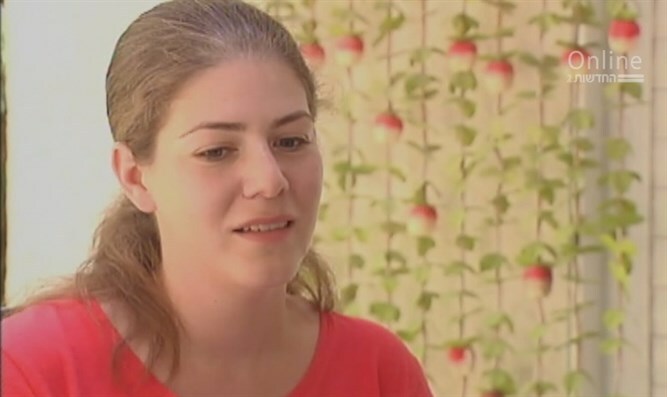 Michal Salomon, the widow of terror victim Elad Salomon, responded to the news that the IDF destroyed the home of the terrorist who slaughtered her husband. "I heard security forces destroyed the terrorist's home this morning," Salomon said. "They will be able to rebuild their home, but they have destroyed my home forever." "We need to implement the death penalty for terrorists, so that they will never be able to rebuild their homes. At the very least, we need to make their jail conditions much more severe, and prevent them from receiving anything about the minimum. They should not have television, and should not be allowed to study degrees. "They murdered, and they deserve to be punished - they don't deserve to retire on our bill." Elad Salomon (36), his sister Haya (46), and his father Yosef (70), were slaughtered just over two weeks ago by a 19-year-old terrorist as the family ate their Friday night dinner at Yosef's home.